The Peoples Empowerment Party (PEP) – a small political party, but nonetheless a ‘national’ political party – is hereby issuing an urgent public CALL to the institutional leadership of the game of cricket in Barbados to come together and launch a multifaceted ‘national campaign’ to protect and re-develop the precious institution of ‘West Indies Cricket’. We issue this CALL against the background of several clear signs that a conspiracy is well under way to destroy the West Indies cricket team and to dismember and balkanize the great institution of West Indies Cricket. the notion that is now being sedulously planted in the consciousness of Caribbean people through articles in the regional news media that the West Indies Cricket team has outlived its usefulness and is now an anachronism. It is clear to us in the PEP that if no serious effort is made to come to the defence of West Indies Cricket, the enemies of the West Indian people will prevail and this vital 81 year old regional institution will be destroyed. And such an outcome would surely constitute a monumental tragedy, and would, in all likelihood, strike a death blow to our dreams of West Indian integration and nationhood! Make no mistake about it, the institution of West Indies Cricket and the West Indies cricket team constitute the very cornerstone of the regional integration movement! You see, West Indies cricket and cricketers have managed to penetrate down into the emotional sub-structure of the West Indian people in a way that no other regional institution has been able to do! For example, we “feel” the West Indies cricket team in a way that we don’t “feel” or emotionally connect with the CARICOM Secretariat or even the University of the West Indies. Similarly, we “feel” or emotionally connect with our West Indian cricketers in a manner that we are yet to experience with our West Indian Prime Ministers. Thus, the late Malcolm Marshall’s death impacted upon and affected the West Indian people in a much more profound way than the deaths of such West Indian Prime Ministers as St Lucia’s John Compton and Dominica’s Pierre Charles. Indeed, when ever we – the West Indian people – begin to emotionally connect with the regional political leadership and the CARICOM structures and personnel in a manner that is even remotely similar to our connection with West Indies Cricket, the attainment of the West Indian nation will be assured! It is therefore vitally important that we preserve the institution of West Indies Cricket and use it as a foundation upon which we build outwards and upwards towards the goal of a totally unified West Indian nation. It is within this context therefore that we are CALLING upon Barbados – the country that shouldered the primary responsibility for establishing the ‘West Indies Cricket Board of Control’ (WICBC) in 1927 – to engage in a national effort to come to the rescue of West Indies Cricket. We are urging the five pivotal institutions of Cricket and sporting leadership in Barbados – the Barbados Cricket Association, the Barbados Cricket League, the UWI Centre For Cricket Research, the Ministry responsible for Sport, and the National Sports Council – to collectively structure and facilitate a process that will permit all of the relevant Barbadian organisations to contribute to an all inclusive national campaign aimed at substantially enhancing Barbados’ contribution to the West Indies Cricket team, and creating a strong and compelling moral force that will guide and direct the future contributions of Barbadian representatives on the WICB and WIPA. Barbados cannot afford to simply sit back and allow matters to take their natural course! Rather, we must mobilize the passionate, cricket loving institutions of Barbados to form themselves into a national movement designed to impact profoundly on Barbadian and West Indian cricket! The PEP is convinced that if these five leading institutions issue a national CALL TO ARMS that they will receive a favourable response from such organisations as:- the Legends of Barbdos; the many Cricket clubs of Barbados; the political parties and trade unions; the leadership of the Secondary and Primary Schools; the Ministry of Education; the ‘Barbados Association of Principals of Public Secondary Schools’; the Parent-Teacher and Old Scholar Associations; the media houses; the Umpires Associations; the Divisions of Community Development and Youth Affairs; the Special Envoy to CARICOM; and a plethora of cricket conscious companies and organisations. There are many ways in which properly prepared and highly motivated Barbadian members of the WICB and WIPA – conscious of the fact that they are the strongly supported representatives of a veritable ‘national movement’ – will be able to positively intervene in the affairs of these two institutions and get them back on track. In addition, there are many ways in which a national coalition of cricket conscious organisations can develop and embark on a multi-faceted national plan of action to rejuvinate the game of cricket in Barbados and to restore Barbados to its rightful place as a bastion of West Indies Cricket. 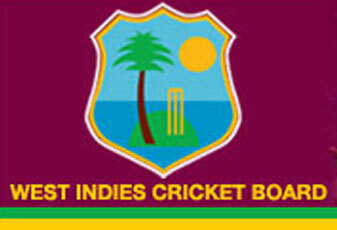 There is much that can be done NOW to save and re-develop West Indies (and Barbados) cricket! NOW is the time for Barbados to act! West Indian Cricket is like a long marriage held together by fond memories. There is an accommodation of sorts, but the spark is long gone. There is no value in keeping a farce going. To say W.I. cricket is crucial to Caribbean integration is nice and sentimental but unfortunately not true. And remember – the most consistent thing in life is change.